The Peanuts Gang kittens are sweet and cuddly, they love attention, and, of course, they love to play. They have been raised in a foster home with their mom, Lucy, and are very social. 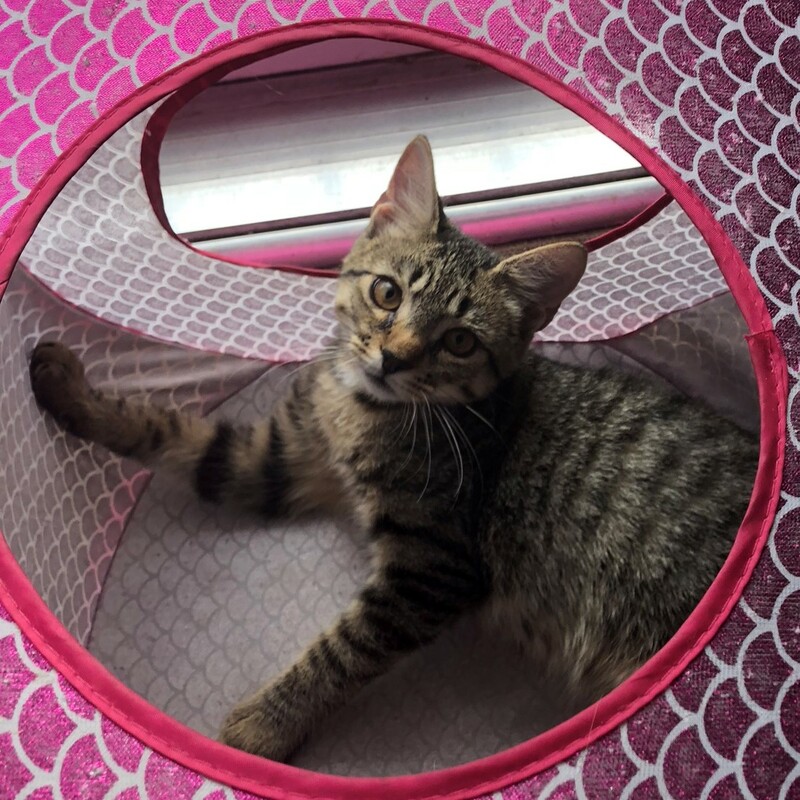 If you are looking for a kitty to fill your home with love and fun, come to an adoption event to meet the Peanuts Gang. Schroeder is not just one handsome kitten. He’s also a charismatic, easy-going little guy that wins human and cat hearts alike. He loves pets and being scratched under his chin and can purr up a storm! 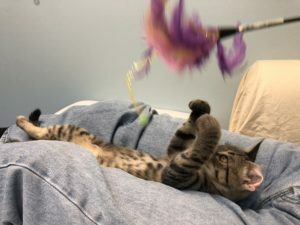 Bring out a feather toy or toss a fuzzy mouse his way and Schroeder will show you his playful side! 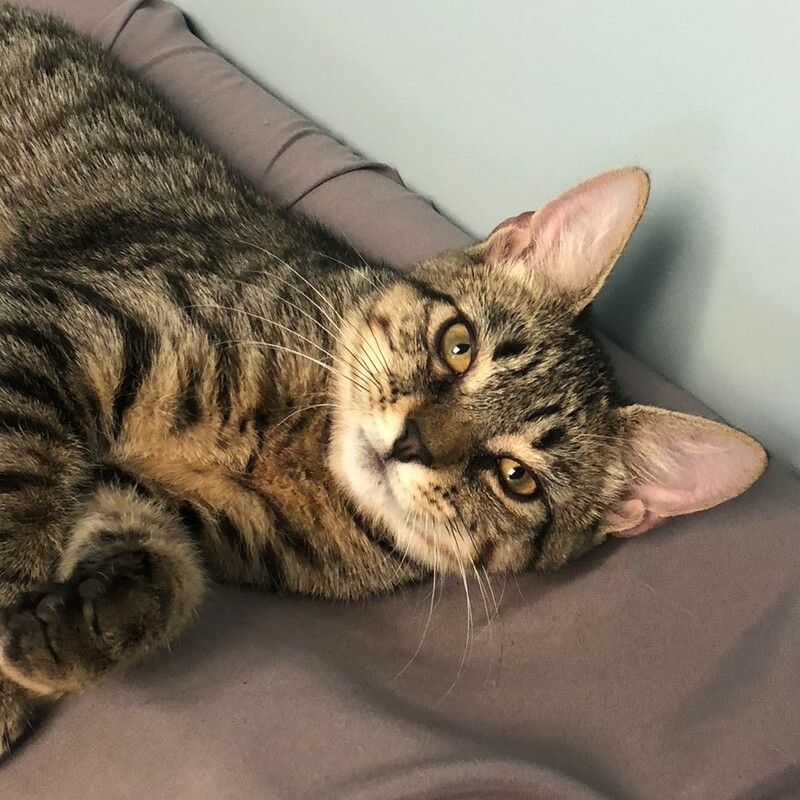 If you are looking for a kitty with lots of love and personality to share, Schroeder is just the one for you! 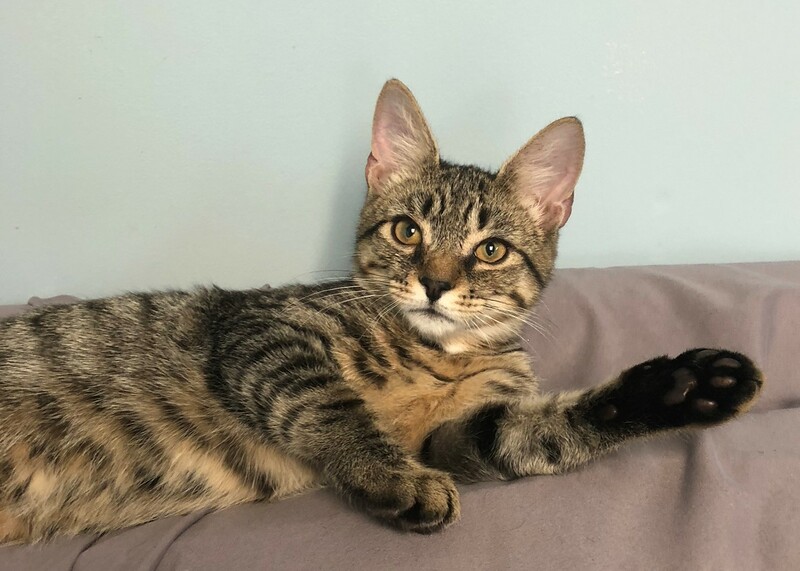 Schroeder is an active, high energy and social kitten and will do best in a home with another playful, friendly young cat or cat-friendly dog companion in the home – check out his siblings Charlie, Sally, and Linus, or his mom Lucy. For more information or to meet Schroeder, please email cats@lostdogrescue.org or call (703)295-DOGS.